Angie Stanland, retired Vice President of Associate Services and Recruiting for Cerner in Kansas City, Missouri, is the new chair of the Coker College Board of Trustees. Stanland previously served as vice chair of the Board. At Cerner from 2004-2018, Stanland was responsible for global recruitment efforts, associate services and corporate travel. At the start of her Cerner tenure, the company was experiencing significant growth in its global consulting operations. Stanland was instrumental in developing streamlined and cost effective travel programs for the thousands of associates executing Cerner business around the world. 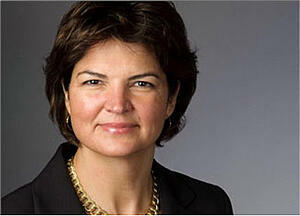 She also had responsibility for programs designed to enhance Cerner’s corporate culture for clients and associates. Programs under her direction included corporate meetings and events, Cerner’s onsite child care program, executive support and administrative assistance as well as corporate food and office services. Perhaps the most significant addition to Stanland’s portfolio was her responsibility for Cerner’s global recruiting efforts, beginning in 2007. Stanland was instrumental in overseeing the marketing and functional recruiting strategies for Cerner candidates. Under her leadership, Cerner experienced 10.5% annual growth in their associate base, which more than doubled in size during this time. Prior to joining Cerner, Stanland worked for Executive Travel and the Hyatt Hotels and Resort network. At each facility, Stanland transformed the methods by which the organization grew their business, often through enhanced executive outreach and customer services programs. Stanland is a native of Union, South Carolina and graduate of Converse College. In 2014, in recognition of Converse College’s 125th Anniversary, Stanland was awarded as one of the 125 Converse Outstanding Alumni. A well-respected leader in the non-profit and civic community, Stanland serves on the board and executive committee of Visit KC. She is the past Chairman of the 100+ year old American Royal Association and now is Co-Chairman of it’s campus design and development programs. Stanland and her husband, Cy, reside in downtown Kansas City. 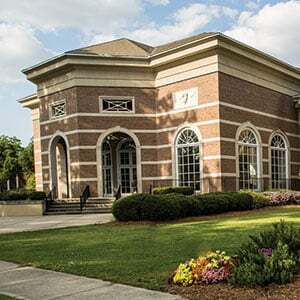 “Coker is fortunate to have a Board chair who is a product of an independent higher education institution,” says Robert Wyatt, President of Coker College. “Angie's commitment to our mission and vision for the future is remarkable and I am thrilled she has agreed to accept this crucial leadership position." Stanland’s term as chair of the Coker College Board of Trustees started March 18, 2019, and will continue until June 2022.